Book Review Beyond Drifting: Imperfectly Known Animals Photographs by Mandy Barker. Designed by Mandy Barker and Tiffany Jones. Reviewed by Laura M. André Mandy Barker's brilliantly conceived, faux-Victorian photobook exposes a contemporary global environmental crisis. 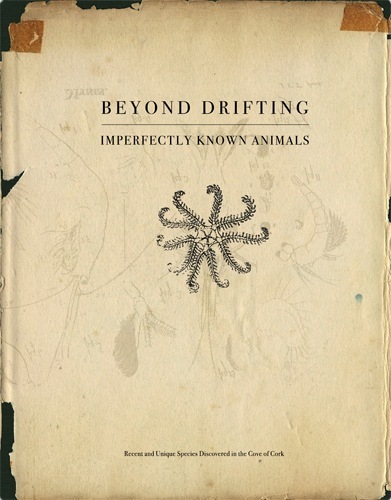 Beyond Drifting: Imperfectly Known Animals. Photographs by Mandy Barker. Overlapse Books, 2017. Reviewed by Laura M. André. Photographs by Mandy Barker. Designed by Mandy Barker and Tiffany Jones. Overlapse Books, London, 2017. 104 pp., 59 color and numerous additional illustrations. 7 x 9 inches. 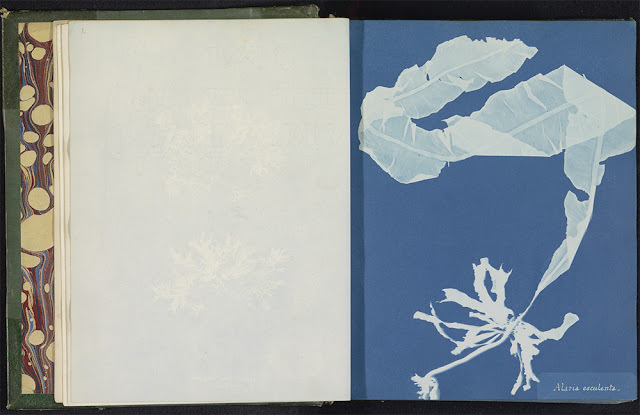 Last month, the Rijksmuseum announced their acquisition of a rare copy of the first known photography book: Anna Atkins' Photographs of British Algae. 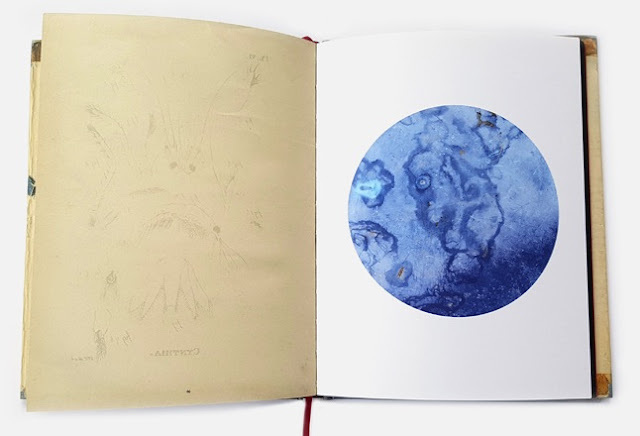 Published in various editions 1843–1853, and illustrated with hundreds of cyanotypes, Atkins' landmark book effectively "sits on the border between art and science." 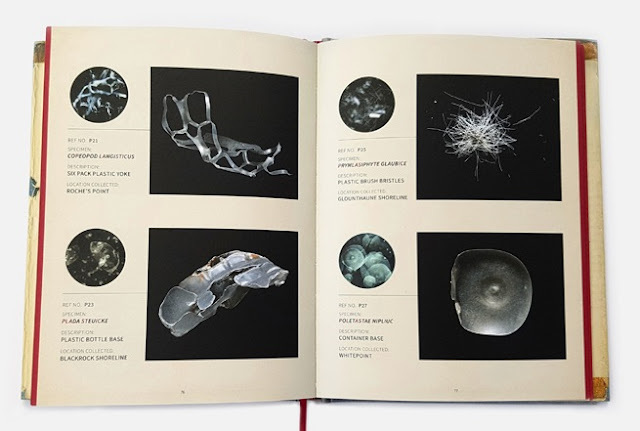 Now, 170 years after Atkins, another British woman has produced an important photobook that echoes Victorian-era science even as it exposes a contemporary environmental crisis. 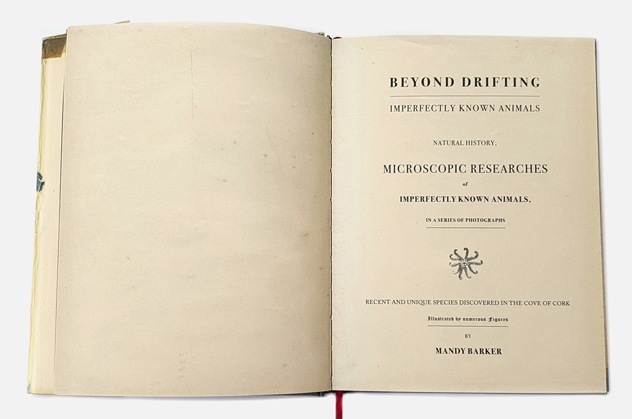 Mandy Barker's Beyond Drifting: Imperfectly Known Animals similarly occupies that liminal space where art and science converge, and its impeccable presentation exemplifies how book design can extend content. 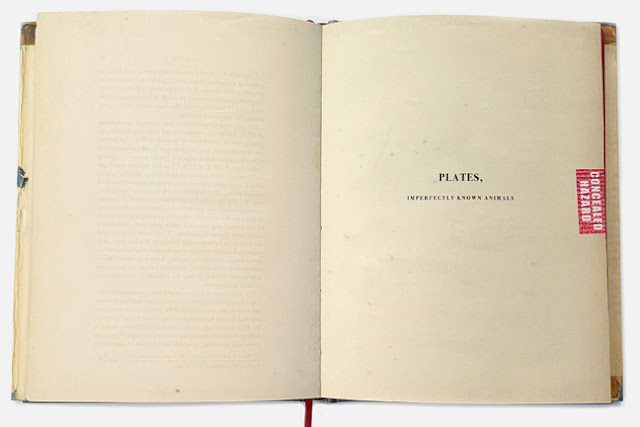 Barker's book takes the form of a 19th-century scientific album—not unlike Atkins' book—complete with what appears to be a distressed dust jacket and faded and stained cloth boards. The series, which was shortlisted for the 2017 Prix Pictet, continues Barker's ongoing photographic investigations into the environmental problem of plastic marine debris, which the Leeds-based artist has explored in numerous projects worldwide. More specifically, Beyond Drifting came about during a residency in Cobh, Ireland, which is located on the Cove of Cork on the southern coast. It was there, during the 1820s, that John Vaughan Thompson, a military surgeon and amateur naturalist, made important discoveries about little-understood marine organisms, which he referred to as "imperfectly known animals." As it turns out, those organisms were what are now known as plankton—the tiny, microscopic creatures that float aimlessly in ocean and fresh waters, and which exist at the bottom of the food chain. The contemporary problem, however, is that the enormous amount of plastic debris in the world's bodies of water decomposes, and plankton ingest these minuscule bits of plastic. In turn, other animals eat the tainted plankton, and so on, and the often-toxic plastic travels up the food chain. The ultimate effect of this process on various life forms, including humans, is still incalculable. 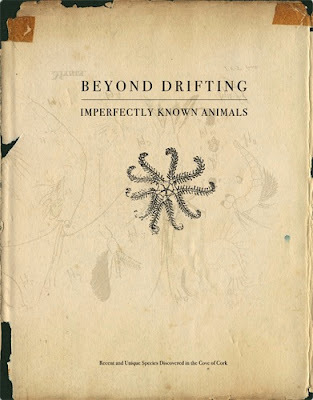 Beyond Drifting: Imperfectly Known Animals. Photographs by Mandy Barker. Overlapse Books, 2017. 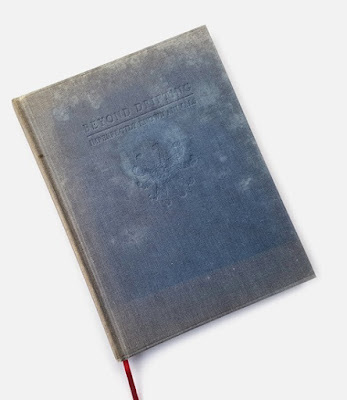 The book's fidelity to the look and feel of an old scientific text continues on the front free endpaper, where a creased, tipped-in Cobh Library lending slip bears faded stamps and facsimile hand notations. 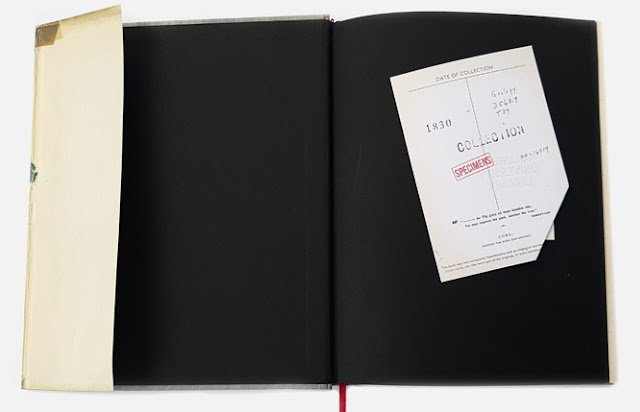 Together with the photographically illustrated signs of age and use on the dust jacket and cover, the lending slip adds to the book's feeling of well-worn authority. By the time I reached the title page, I found myself compulsively touching the paper in a futile effort to verify what my eyes were seeing: faint creases, mold spots, and bleed-through text. In fact, these convincing effects are printed throughout the book. Their source is Thompson's own published texts, and the result is that Thompson's work appears in dialogue with Barker's. For the main body of the book, Barker's photographs of these new, "imperfectly known animals" appear as "26 MICROGRAPHIC SPECIMENS," one to a page, bordered by a circular frame, printed on black paper, and opposite antique specimen labels. For example, the spread above depicts Copeopod langisticus (Barker has given each specimen a Latin-sounding name embedded with the letters—in order—for the word plastics). 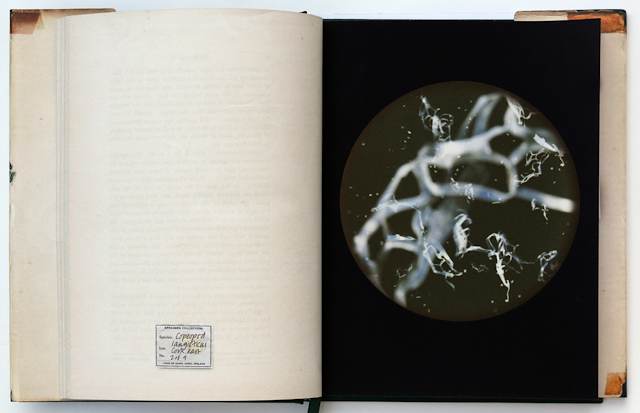 Barker has photographed the specimens as if seen through a microscope, using faulty cameras and expired, grainy film. They appear to be floating like plankton; the blurry images suggest movement and their forms are difficult to recognize. A new section, "PLATES," follows the specimen pages. These red-edged pages are sealed with a red and white "CONCEALED HAZARD" sticker, the reverse of which lists various hazardous plastic chemicals. Inside the sealed section, the secrets of Barker's specimens unfold. Each specimen appears next to a photograph of its source, which is a piece of plastic detritus harvested from the Cove of Cork. Here we learn that Copeopod langisticus, for example, is really a plastic six-pack yoke. Like Thompson before her, Barker has dutifully recorded these articles of plastic refuse, which include bits of packaging, a coat hanger, electrical components, a cell phone casing, doll parts, a toy horse, and plastic book covers. Rather than merely presenting these objects as they ordinarily appear, Barker transforms them into seemingly animated species of plankton. In so doing, she asks us to look at them differently, to see them as if they have mutated into microorganisms—because, in a way, they have. 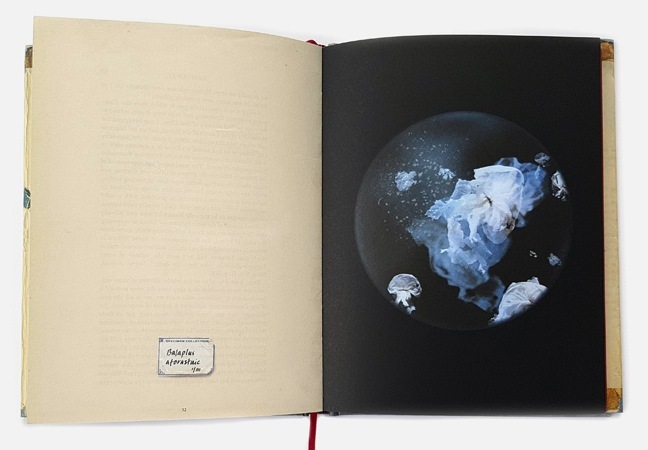 A series of brief, explanatory texts at the book's end reveal Barker's process and raise awareness about the shocking environmental problem of microplastics. Although the book focuses on this specific issue, I would argue that its concept and design also prompt broader questions about photography's role in producing knowledge. Thompson, who worked before the rise of photographic imaging, communicated his scientific discoveries through a combination of texts and drawings that illustrated what he could see in his microscope. After all, this was standard practice for scientists. In fact, Thompson's drawings appear as nearly imperceptible, ghostly traces on the book's pages and dust jacket. Barely two decades later, Atkins' revolutionary move was to abandon the pencil and allow her algae species to draw themselves on light-sensitive paper. Atkins learned about photography from none other than William Henry Fox Talbot and his wife, Constance, whose experiments with "photogenic drawings" led to the calotypes he published in the 1844 book The Pencil of Nature. The idea that light and chemically treated paper could automatically produce "drawings" of the natural—and unnatural—world revolutionized how many people understood photographic images as unmitigated proof of something. Alaria escalante. Page spread from Anna Atkins' Photographs of British Algae. 1843–1853. Courtesy Rijksmuseum. Laura M. André is the manager of photo-eye's Book Division. She received her PhD in art history from the University of North Carolina at Chapel Hill and taught photo history at UNM before leaving academia to work with photography books.